Visakhapatnam Teachers Transfer Vacancies List and Seniority Lists are scheduled to be released on the 10th September 2015. Transfers will be held from 24th of September 2015 to 25th September 2015. This year AP Teachers Transfers will be held through Web Counselling. Category wise, Subject wise Provisional Transfers Vacancy List 2015 is as follows. Visakhapatnam District Clear Vacancies List, 5 years completed Grade 2 Head Masters list, 8 years completed teachers list, Rationalization effected teachers list, All Categories teachers transfers seniority lists will also be available at the official DEO Visakhapatnam Website. Teachers need to visit the official website for updated information. Transfers will be held through Web based counselling. Department of School Education, Govt of AP will conduct Teachers Transfers through web conselling method for the 1st time in AP. Teachers need to apply online for Transfers 2015. They have to take the print out of the submitted transfer application form and need to submit the same with relevant documents to the head of the departments. Teachers seeking special entitlement points need to submit certificates for proof. 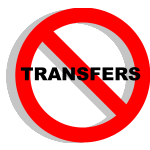 The following documents* (If Applicable) should be attached to the transfers application form. Updated Visakhapatnam Teachers Transfer Seniority List 2015 and Visakhapatnam Teachers Transfer Vacancies List 2015 of SGT, School Assistant Telugu, English, Maths, Physics, Biology, Social Studies, Hindi is available only at DEO Visakhapatnam website https://sites.google.com/site/deovizag. Check the following link for Vacancies. It would be informative if the seniority list is provided with the right address. The incorrect link is creating chaos. Thank you.